30+ French is a course which has been designed for our adult clients who are looking for an intensive program of French classes, but in an environment with people in a similar age group. The course content is similar to that of the Intensive French Course and devoted to a practical application of your knowledge. 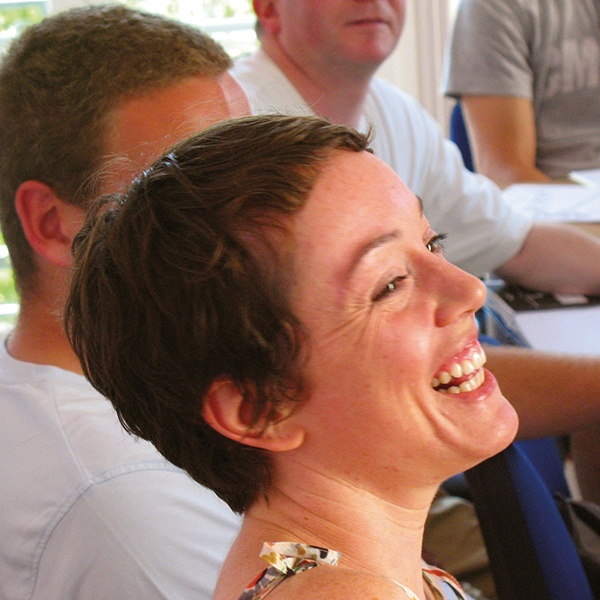 Although all our French courses are available for all adults, during summer time the majority of students in standard or intensive courses are between 18 and 24 years. So, if you are a mature student, and prefer to study with people your own age, we highly recommend the special 30+ Course. This course is designed to be intensive, but you still have the possibility to book only the morning 30+ course. 8.40 Arrival at the school (2 rue d’Angleterre, 06000 Nice). The alpha.b team will show you to your testing room. 9-9.20 Presentation of alpha.b by the class teacher, teaching activities, French learning, oral communication. 11-12.20 Teaching activities, French learning, oral communication. We can recommend you different places near the school where you can receive a reduction by showing your alpha.b student card. 13.15-15.15 Afternoon lessons: oral communication, intercultural exchange. The teaching goal is to make all students speak as much French as possible during this first day. Alpha.b was ideal for my language stay in Nice. The charming villa is well situated in the heart of the town with modern equipment and a pretty garden. We worked in small classes with adult students and students of different nationalities, in a familial and friendly environment. The teachers are all so attentive and very professional – an excellent team behind the scenes! You were always friendly and flexible, thank you very much! I chose alpha.b for the guarantee that there would only be students of 30 years of age or older in my class. The lessons were well structured and lively. Our teacher, Jean-Philippe, was great! I could see that he loves teaching and I made lots of progress. Alpha.b offers lots of different activities after lessons. I went to a wine and cheese tasting which was both interesting and fun. I had a great time in Nice and I strongly recommend the 30+ course for everyone. What can I do after my lessons? There are a huge amout of things to do and see in Nice! Every week, alpha.b organises a varied activities programme where you can learn more about French life, culture and gastronomy. You will be able to visit amazing cities around Nice like Cannes, Monaco, Antibes, Eze-Village, St Paul de Vence and many others. Take part in one of our tasting workshops or evenings at an authentic restaurant with your class. In Nice, you can enjoy 300 sunny days per year, a 7km beach and a magnificent surrounding countryside. Alpha.b has its own accommodation service and gives the option of staying with a host-family (half-board or without meals), in a 2 or 4 start residence, in a hotel or in a shared flat.